This statistic shows the results of an evaluation of Tesco's performance according to shoppers in the United Kingdom in 2015. 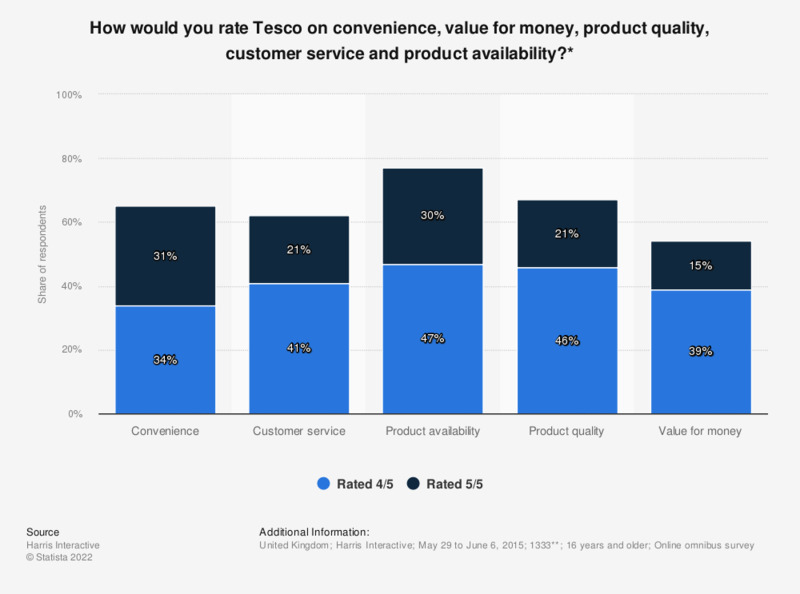 Tesco generally performed well, with 76 percent of shoppers rating a four or five for product availability, and 67 percent rating a four or five for product quality. ** Base number of Tesco stores.